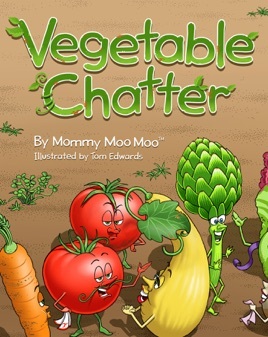 Vegetable Chatter (Damara Publishing, 2016), written by Mommy Moo Moo and illustrated by Tom Edwards, is a silly conversation about vibrant vegetables. Carrots, squash, and beets galore are dramatically displayed in whimsical illustrations of vegetables interacting and chit-chatting amongst themselves in Mother Earth’s garden. Mommy Moo Moo’s rhythm of language with an undercurrent play on words will delight your senses and tickle your fancy. Vegetable Chatter is a beautiful, illustrative story that brings vegetables to life. It is wonderfully written, with alliterations that are sure to hook both children and parents! Its wordplay and detailed illustrations transform vegetables into vibrant and comical characters. I would highly recommend this book as the perfect bedtime story, children’s birthday gift, or fun addition to a classroom library. Produce that packs a punch. 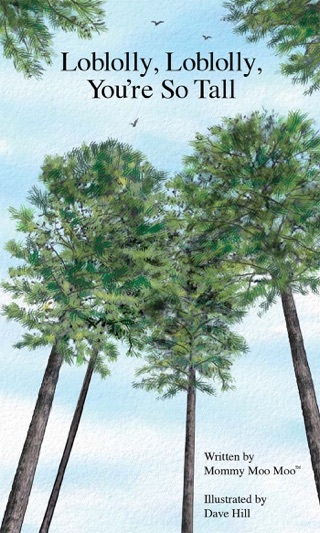 Silly, awesome, simple story created by a new children's author. Parents will enjoy reading and re-reading this story to their kids. My little ones are mesmerized by the colorful, vegetable characters. Highly recommend! OMG!!! LOL!!! Inspirational. Fun. Creative. Cantaloupe is the bomb. Every vegetable is unique. Awesome story for kids and adults. Mommy Moo Moo rocks.